Niagara-on-the-Lake, ON (April 3, 2019) – Introduced at ICAST 2018, and winner of Best in Show for Saltwater Soft Lure, the LIVETARGET Fleeing Shrimp seamlessly combines a biologically precise shrimp profile and anatomy, a dynamic color palette, biomimetic action and robust saltwater components to synthesize a soft lure that uniquely replicates the appearance, action and sound of a living shrimp. Now available in stores and online, the action-packed LIVETARGET Fleeing Shrimp is, at its heart, a soft lure, but one that uniquely duplicates a natural shrimp’s appearance. A portion of its visual perfection stems from having a body size and shape that accurately recalls a living shrimp, bristling with three-dimensional anatomical features including tail and thorax segmentation, eyes, antennae, and more. A custom-designed jighead sporting an extra-strong, corrosion-resistant hook blends seamlessly with the Fleeing Shrimp’s soft body, accentuating the lure’s ultra-natural profile. A broad spectrum of eight color patterns completes the visual deception. 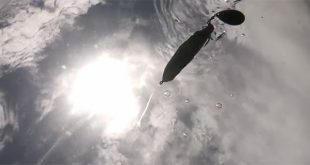 The LIVETARGET Fleeing Shrimp truly comes to life when the angler imparts action, either popping it along the bottom or swimming it beneath the surface. The Fleeing Shrimp’s proprietary skirt masterfully emulates the motions of a living shrimp’s front legs, both in motion and at rest. When the shrimp is “fleeing” in a natural, backwards direction, the skirt folds together like the front legs of a living shrimp. When the shrimp comes to rest on the bottom, it stands perfectly upright with the head tipped slightly upward, while the skirt material fans outward and gently flows up and down, creating a subtle life-like action that will entice a bite and not spook wary fish. 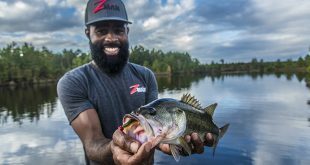 The LIVETARGET Fleeing Shrimp is particularly effective in skinny waters when targeting redfish, snook and speckled trout. 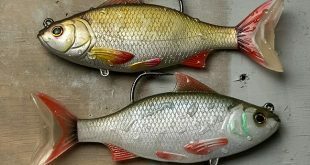 It can be cast exceptionally long distances, hopped over potholes, bounced across the bottom, or fished in the midportion of the water column with intermittent twitches. 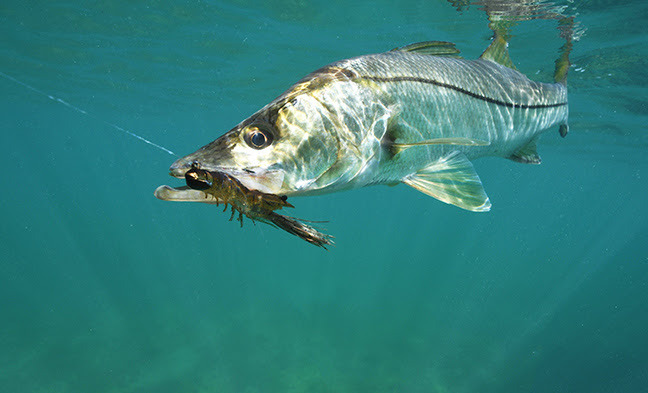 With a quick jerk of the rod tip, it flees backwards like an escaping shrimp, its internal glass rattle creating a “ticking” sound on the retrieve – replicating the chatter of a living shrimp. Artistry meets engineering in the LIVETARGET Fleeing Shrimp, now available at LIVETARGET dealers and online. This new standard in shrimp lures is available in two lengths and weights (2 3/4” and ¼ oz, or 3 1/2” and 3/8 oz) and eight ultra-realistic color patterns (910 Sand Shrimp, 911 Glass Shrimp, 912 White Shrimp, 913 Glow, 914 Brown Shrimp, 915 Pink, 918 Grass Shrimp, and 919 Clear), allowing anglers to Match-the-HatchTM in any water conditions. The LIVETARGET Fleeing Shrimp has an MSRP of $9.99 USD.